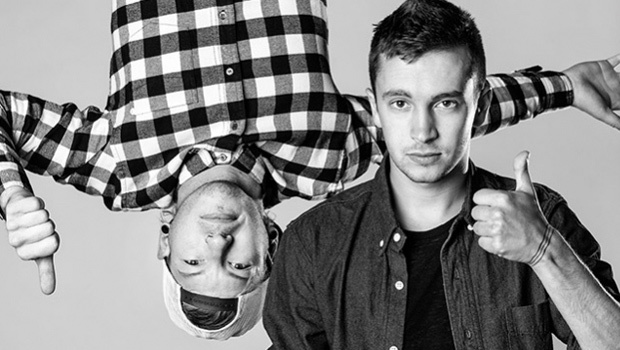 An American duo from Ohio, twenty one pilots are a big love of mine. 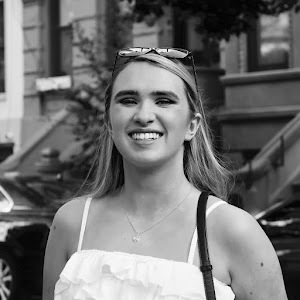 Their music is unique and inspiring, with creative lyrics and catchy beats. 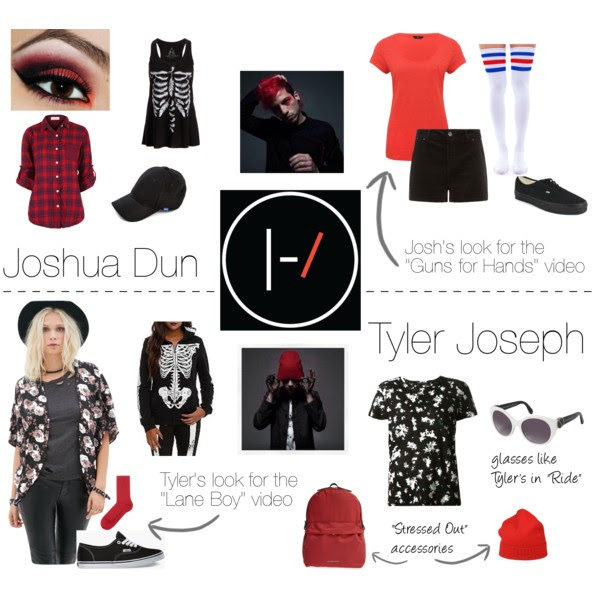 Tyler, the singer, and Josh, the drummer, both wear impeccable outfits that state their style; Tyler and his florals and Josh and his baseball caps. Josh's new look includes red eyeshadow all over his eyes, so I included a red eye make up look. Of course, I couldn't not add in a baseball cap, which should be worn backwards to achieve the drummer's look. The outfit choice I went for from Josh was the one from "Guns for Hands"; sports luxe themed, however my style steal here has shorter shorts and longer socks for my own taste if I was to sport it! Tyler's new signature feature is black paint on his neck and hands. Unless you do want to wear black paint, you could try out his red accessories from "Stressed Out". The outfit choice I stole from Tyler here is from their latest music video "Lane Boy". Tyler's floral shirt in the video is apparently from Forever 21! Unfortunately I couldn't find the exact one on Polyvore, but the cardigan above is pretty similar. Do you like twenty one pilots? Do you like their style? Would you steal it? I LOVE twenty one pilots, they are so talented!! And their music always has such a great message. Josh and Tyler are both amazing people. I love the red accessories idea!! Great style translation!